Tire dealers are well-equipped to properly dispose of tires, so when you purchase new tires, leave the old ones with the dealer. If there are no immediate take-back events, try contacting the nearest environmental health office for more information about how to dispose of tires. 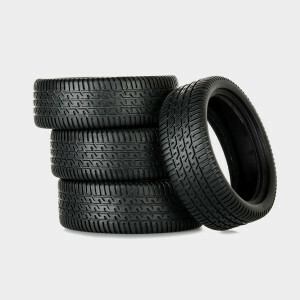 If you care for your tires, you’ll save money because you won’t need to replace them as often. Check the tread and tire pressure monthly, keep wheels aligned, and rotate tires every 6,000 miles. You can also drive carefully to avoid potholes, debris and curbs. Consider turning old tires into swings or using them to create garden beds or ponds. Here’s a list of DIY ideas for your old tires.